No one has found anything exciting about it, but to unlock the UV-B5 test mode in the software, try code KT511. I'm putting this tidbit out here so, hopefully, someone will discover the undocumented phaser feature. Hat tip to Walter and Hans (PD0AC) for mentioning it in the comments. On the surface, it is your typical dual band 5W Chinese HT: 136 - 174 MHz and 400 - 470 MHz along with 65 - 108 MHz FM receive. 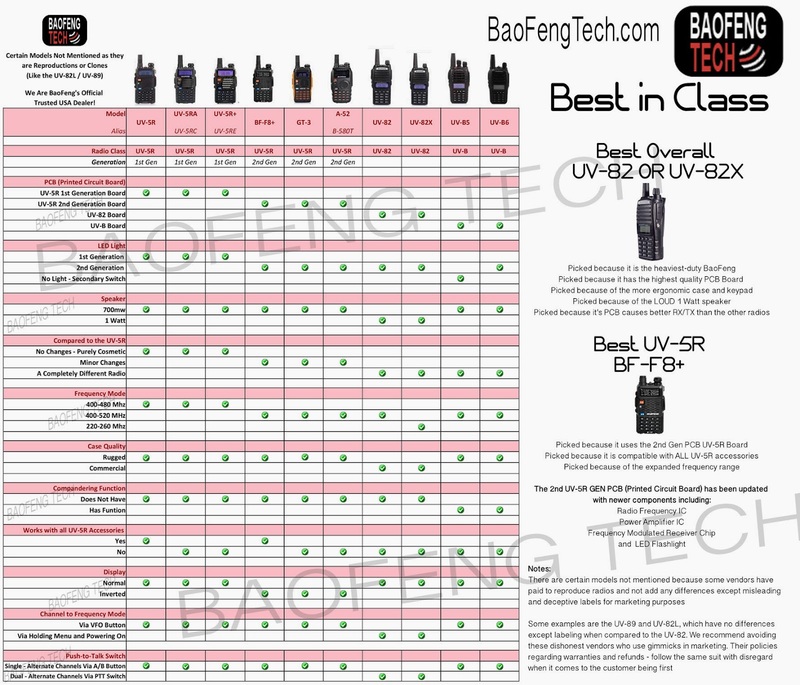 Here are the links to the radios on the Baofeng site: UV-B5 and UV-B6. Of note is the lack of the customary flashlight (for the UV-B5) and, perhaps more importantly, 2.5Khz steps. You can get one at the 409Shop for $53 (USD) along with many of the usual accessories (USB programming cable, serial programming cable, extra batteries or chargers) - no colors or AA/AAA battery packs yet. Give them time and I am sure they will show up. As you will find, the UV-B5 does not share the same form as the UV-5R, so you won't be able to share batteries or chargers. However, the programming cable from your UV-5R should work. No surprise.. a Yahoo Group has been started for the UV-B5. Hans also points out that you can save a few dollars if you don't want the pretty box by ordering from AliExpress. I'm guessing price was not the biggest factor when Hans did his "Best/Worst of 2012" and ranked the Wouxun KG-UVD1P ahead of the Baofeng UV-B5. If price had been weighted heavily it looks like the UV-B5 might have been the winner. Lastly, after living with the radio for a while he found some problems with the FM tuning and memories. He also reports the battery life, while not horrible, isn't great. "The radio works excellent and the modulation is also good, not like some UV-5R types.I also think that the battery is more than enough capacity. This Baofeng UV B5 cost at the 409shop only 53 Dollar, which is in Euros (with the exchange rate of January 2013) € 41.75 including shipping." 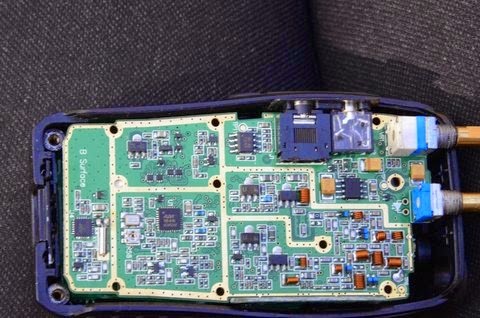 "My overall assessment is that Baofeng has cleaned up the issues with the UV-5R (and don’t forget, I really like that radio!). The UV-B5 is a sweet little radio that will make a splash when it hits the US market." So for now, I'm calling the UV-B5 the best kept secret in the world of Chinese radios!